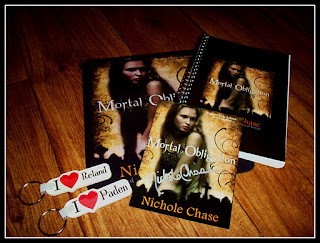 Nichole Chase: Mortal Defiance Tuesday Teaser #2 + Giveaway!!! 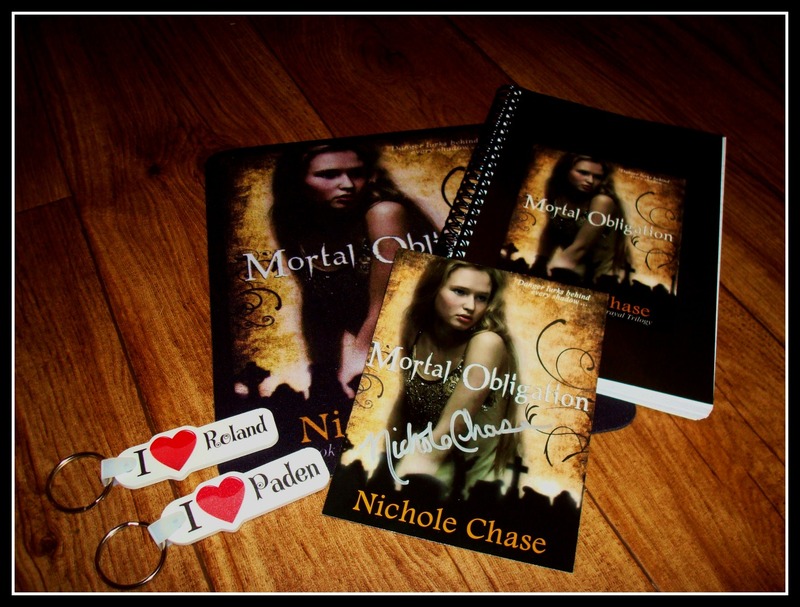 Mortal Defiance Tuesday Teaser #2 + Giveaway!!! 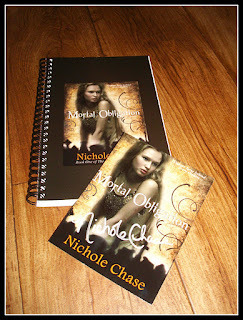 So, let's get the teaser out of the way first and then on to the giveaway! So, I have some swag that I have been DYING to give away. There will be two seperate swag-packs. (Is it just me, or does that sound weird?) The first package is a little larger, but the second one is still fun! This package includes: One notebook and one signed postcard. I will be choosing winners on Tuesday, October 11th through random.org. Entries after 12:01am on Tuesday will not be accepted, so make sure that you get your entry in early! Thanks for stopping by and good luck! I appreciate my readers so very much. I wish I could send everyone something! ETA: Please be sure to leave your email address so that I can contact you. If the winners do not respond within 7 days, I will choose new ones. I haven't read the book yet, but it looks good. I love Roland! My favorite part is the scene where Ree meets Roland for the first time. Realized my post had spoilers in it, so I will just say that my favorite part is all the parts with Roland in it! I loved every bit of this book.And I loved how Paiden insisted on paying for Ree's dinner and always looking out for her.It was so sweet. Teaser Tuesday and a WINNER! Teaser Tuesday #3 and Winners Announced!